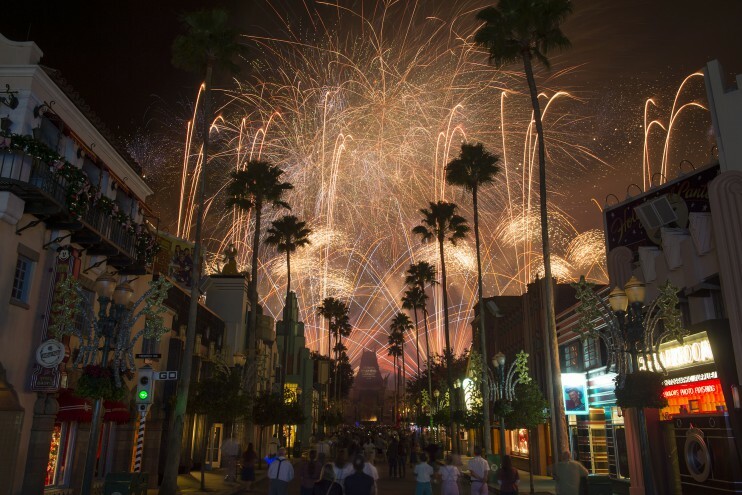 A sweet new way for guests to have even more out-of-this-world Star Wars fun begins Jan. 8 and runs through March 20, 2016, at Disney’s Hollywood Studios at Walt Disney World Resort. Symphony in the Stars: A Galactic Spectacular Dessert Party happens 6:30-8 p.m. each Friday, Saturday and Sunday, with special viewing for the “Symphony in the Stars: A Galactic Spectacular” fireworks at 7:45 p.m. each night. Guests can enjoy a selection of sweets as the night sky erupts with impressive fireworks, set to the most dramatic and memorable Star Wars themes of all time, including selections from Star Wars: The Force Awakens. On the menu, guests will enjoy lots of Star Wars-themed treats, including the popular Yoda and Darth Vader cupcakes and a selection of alcoholic and non-alcoholic beverages. Guests can purchase tickets for this special Star Wars offering by visiting DisneyWorld.com/dine or calling 407-WDW-DINE.